Lawrenceville, NJ – October 7, 2015 – As nonprofit Minding Our Business educates middle school students on how to be successful entrepreneurs, the organization instills in these future business leaders the importance of giving back to their community once they make it big. This message resonated in Jeremy Hopewell, who as a graduate student at Rider University, worked for MOB as a field supervisor and mentor in the program. With Jeremy’s recommendation and his support, MOB was recently awarded a $25,000 grant from the TripAdvisor Charitable Foundation. MOB began in 1997 as a community outreach program of Rider University’s College of Business Administration and received its own 501(c) 3 designation in November 2012. Since its launch, MOB has taught entrepreneurship education to more than 3,000 low-income students through a variety of programming for young adults. 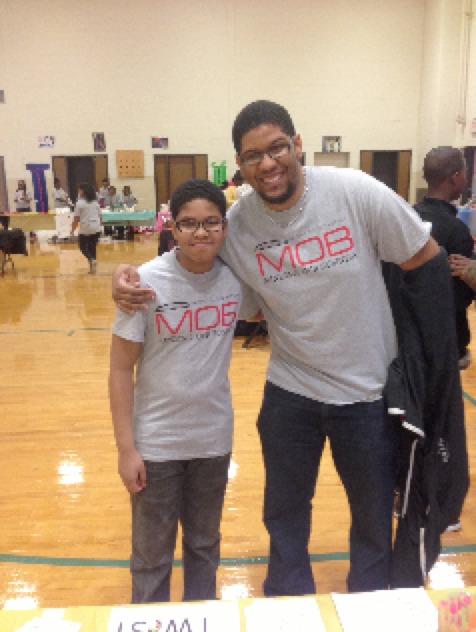 MOB currently offers both an after school Service-Learning Program and a Summer Program that targets middle school students and teaches them how to run their own business. By the end of each program, students launch their business venture and sell their products and services. For further information about Minding Our Business, please visit www.minding-our-business.com. The mission of Minding Our Business is to improve academic, leadership, and entrepreneurship skills, and to boost self-confidence among at- risk middle school students using a unique hands-on approach involving entrepreneurship education and mentoring. The vision is that MOB will one day be the leading model for entrepreneurship education for urban youth nationally. For further information about Minding Our Business, please visit www.minding-our-business.com.